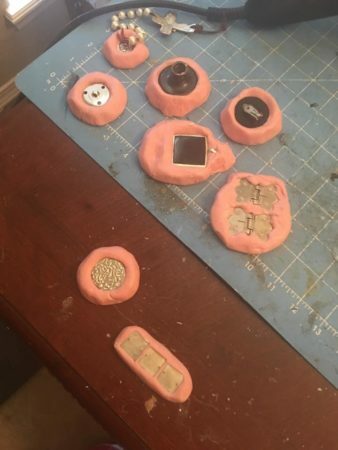 Anita Holmes wanted to up her cosplaying game and thought moldmaking would be a good skill to develop. 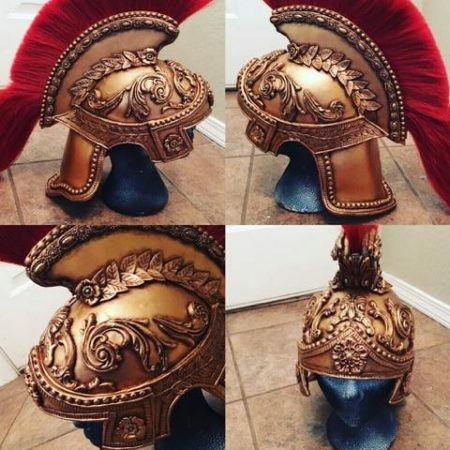 She bought our Oogoo for Artists book and what she learned there helped her create a jaw dropping Athena breastplate, helmet and shield. She wore this work of art to the Chicago Comic and Entertainment Expo – also known as C2E2, last month. I was so impressed with the pictures she shared on our Do you oogoo? Facebook group that I asked her to answer some questions about her project here on the blog. Tell us about yourself. How long have you been cosplaying? I am a married mother of two boys, 19 & 23. All of us are gaming, comic and sci-fi nerds..lol. I work fulltime and do costuming on the side. We cosplay as a family and I am also an administrator of a cosplay charity group. So I stay pretty busy! I have been doing costuming/cosplay for 3 1/2 years. I do all the sewing and building for all of our costumes. Learning as I go! 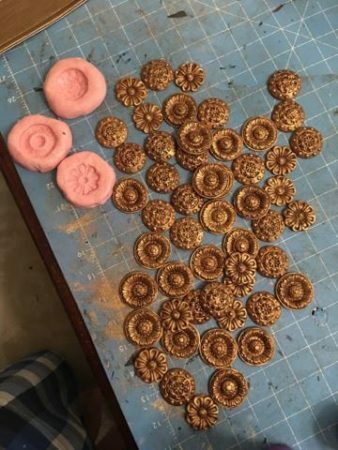 Why did you start mold making? Have you tried other methods? To up my game! I wanted to use it in my prop and costume making. I like to learn new techniques and mediums that I can apply in future work. I have tried smooth-on rebound 25 as well as resins and foam. I like oogoo because it is a cost effective way of moldmaking, with everyday, easy to find items. And it is pretty fast as well. 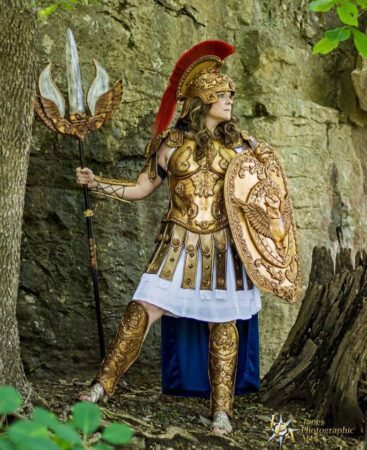 Athena is my newest costume, I am working on it for my contest piece for Chicago Comiccon. 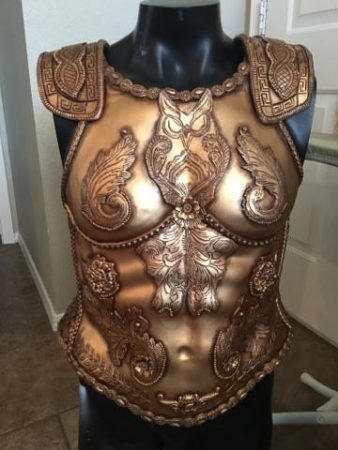 It is an armored Athena Greek Goddess. It includes many pieces of armor, a lot of molding, casting and multiple materials used to produce the final outcome. I hand carved into eva foam and black worbla for the non cast items as well. Plastidipped, then primed and painted. What projects to you have in mind for the future? Well, I build for our family since we cosplay together and for charity (the DC Marvel League), so I have many things in the works. I will be working on another show piece for both my husband and myself. I am working on my husband’s Grey Jedi at the moment as well. A Malificent is on the horizon, as well as pirates for the Pirates of the Caribbean movie premiere. My list is long and goes on and on..trust me! You never know what I will think up next to build! Find more of Anita’s work on her Facebook page and instagram feed.